On the day of the NCAA women’s basketball Final Four, one that should have been reserved for the celebration of a game that doesn’t get nearly the praise it deserves, a pall fell over the sport. One of the game’s Hall of Fame coaches is under investigation for making racially offensive remarks to her players. That’s where North Carolina’s Sylvia Hatchell found herself on Friday. The most disturbing allegation is Hatchell reportedly told her players they would get “hanged from trees with nooses” if they didn’t improve. A Washington Post story about the situation also alleged Hatchell tried to make her players perform through serious injury. The Post did not come upon these conclusions lightly. They interviewed seven people, including the parents of six current players. If true, not only would this be the end of Hatchell’s career, it could send the program into a tailspin it might not emerge from. To put this into perspective, North Carolina, Tennessee and Virginia were the three most prominent women’s basketball powerhouses in the pre-UConn era, which began with the Huskies first national championship in 1995. The Lady Tar Heels, under Hatchell, produced a number of the nation’s top players every year. Hatchell’s attorney, Wade Smith, told the Post the remarks attributed to her by parents are incorrect and misconstrued. “She said, ‘They’re going to take a rope and string us up, and hang us out to dry,'” Smith said. Faced with these allegations, Hatchell issued her own defense. Hatchell was to the ACC what Tennessee’s Pat Summitt was the SEC and UConn’s Geno Auriemma was to the Big East and now American Athletic Conference. She was a powerhouse recruiter, a person who drew attention when she’d walk into a high school gymnasium. 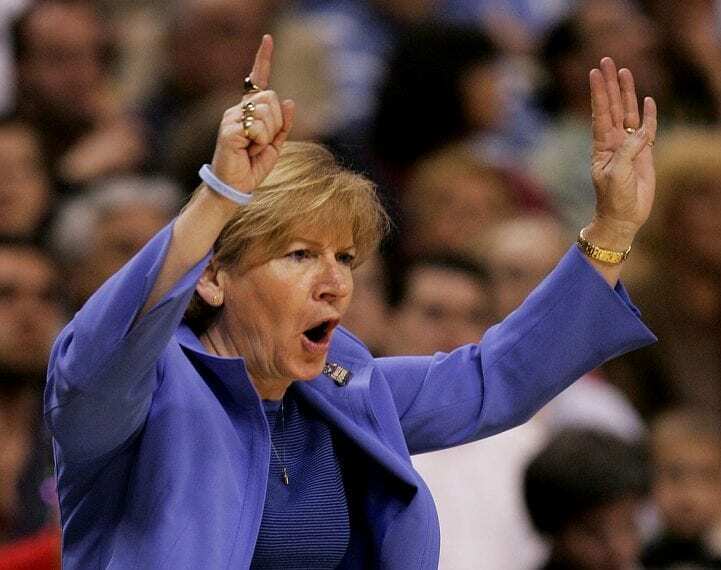 Hatchell was inducted into the Women’s Basketball Hall of Fame is 2013 and is to this day the winningest women’s basketball coach in ACC history with 1,023 total career wins and 751 in 33 years in Chapel Hill. Her program won the national championship in 1994. Hatchell has not been feeling well of late. She was diagnosed with leukemia in 2013 and was treated through March 2014 after which she returned to lead the team to a 26-9 season. One of the big problems here is that this is not the first time her program has come under the microscope. 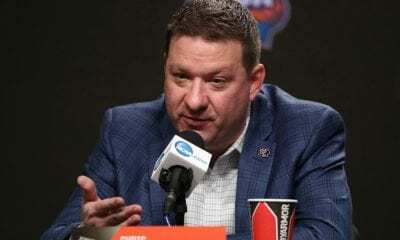 The NCAA has been looking into it for many years because of allegations of academic mishandling including having student-athletes take bizarre courses to help keep their academic standing in place. The case reached a no-penalty conclusion in 2017. The NCAA didn’t impose punishments because courses taken by these athletes were also available to regular students. This wasn’t a particularly strong season for the Tar Heels. 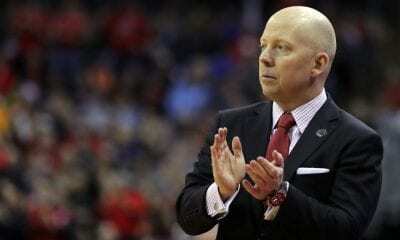 They finished 18-15 and lost to California in the first round of the NCAAs. It was their first trip to the tournament in four years. According to the Post, the parents who spoke did so under the veil of anonymity to protect the players. They were among a larger group who voiced their concerns with university administrators last week. Apparently, three players told their parents they felt under pressure from Hatchell to push through their injuries, one of which was a shoulder injury that later required surgery. In a statement, North Carolina said it would have no further comment until the review is completed. “Carolina is committed to the well-being of our student-athletes and to ensuring that they have the best experience possible in and outside of competition,” the statement said. Hatchell declined an interview request from the Post. Her attorney told the Post that Hatchell couldn’t recall pressuring injured players but would never ask anyone to play that the medical staff had not cleared. The program seems to be in disarray. Four of the team’s 14 current players have asked to transfer and two others are considering it if Hatchell keeps her job. Hatchell, 67, has coached North Carolina since 1986 and also led the Tar Heels to Final Four appearances in 2006 and 2007. 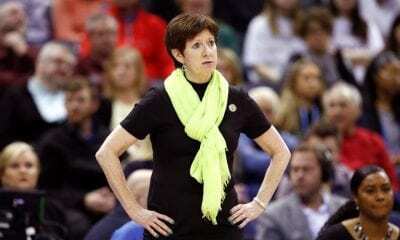 She is one of six women’s college basketball coaches to win at least 1,000 games. The “noose” remark, according to six parents, occurred this season after a game against Howard. North Carolina won 85-63, but Hatchell was not happy and in the locker room warned her team of what would happen at Louisville in a few days.